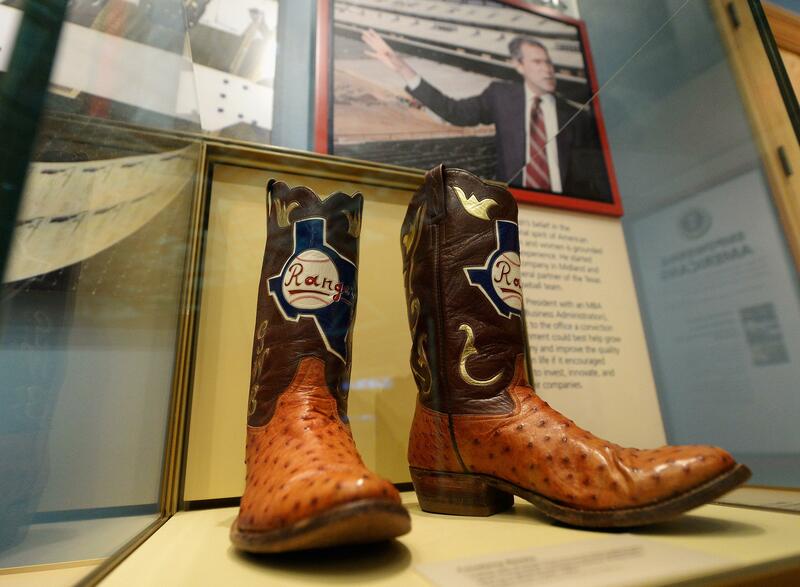 Boots commemorating George W. Bush’s tenure as general managing partner of the Texas Rangers are displayed at the George W. Bush Presidential Center on the campus of Southern Methodist University on April 24, 2013 in Dallas, Texas. Dedication of the George W. Bush Presidential Library is to take place on April 25 with all five living U.S. Presidents in attendance and an expected 8,000 invitation-only guests. You can almost hear the conservative consensus about Boston and the lackadaisical Obama regime forming. The suspect in the Boston Marathon bombings killed in a shootout with police received welfare benefits from the state up until last year, when he became ineligible based on family income. Mexican presidents serve single, six-year presidential terms. And Bush’s six-year economic record, from 2001 through 2006, was OK, actually. GDP growth was 2.7%, roughly at trend. But I’m pretty convinced by Keith Hennessy’s argument that George W. Bush is smarter than me. If you’re not bored senseless by the current 202/212* discussion of Women Leaders and Sexism, my colleague Hanna Rosin managed to get an extraordinary piece out of it. The government’s blowing around $1 million every year on empty accounts that haven’t been closed because they need to be audited. And Mark Sanford’s going out in the boldest possible way. Not quite sure why a special election voter would be so scared of Pelosi, though; the outcome in SC-1 can’t possibly make her speaker. *The DC and Manhattan area codes, of course.